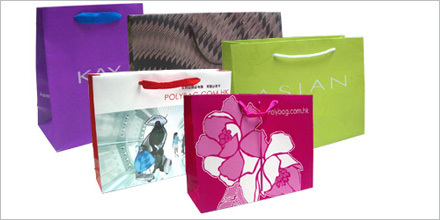 With over 25 years experience in the paper bags industry, Paper Bags Wholesale have the knowledge and expertise to provide you with a diverse range of quality bags that will effectively meet your campaign objectives, delivered on time and within budget. Our customers include the UK's largest corporate and government organisations, the nation's biggest retailers, thriving small businesses to big multinationals, hospitals, universities, schools, and charities. Over the years we have built strong relationships with suppliers from all over the world to ensure you get the best bag choice available, and the quality is of the highest standard. Finding the right bag to meet our clients brief is always our priority. All our bags are made to order and can be designed to your own specification. With many different styles available we are confident you will find the right bag within your budget.